Sam Range and Juli Williams weigh their ingredients on a scale Wednesday morning during the “Crazy Chemistry” course at Willis Intermediate School. 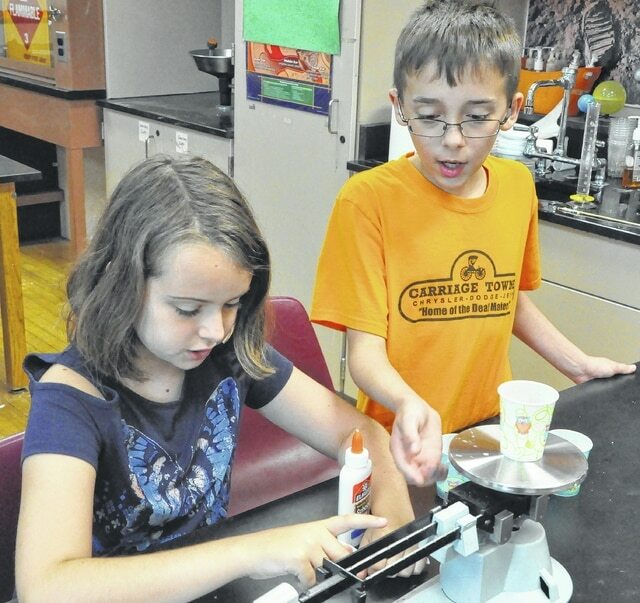 The course is one of Delaware City Schools’ many Summer Enrichment Program courses. Students learned and created basic polymers as part of this week’s course.